Gabriel Read gained fame and provincial government bonuses when he found gold near the Tuapeka River, a tributary of the Clutha River in Otago. The Otago provincial government had offered a £1000 reward for the discovery of ‘payable quantities’ of gold. Read, a prospector from Tasmania, claimed the reward (equivalent to more than $110,000 today) after finding gold ‘shining like the stars in Orion’. His discovery sparked the country’s first major gold rush. Thousands of diggers rushed to ‘Gabriel’s Gully’ hoping to strike it rich. A slice of the goldfields population of Victoria moved across the Tasman − not only miners, but also businesspeople and entertainers. The discovery was a major economic boost to both Otago province and the wider New Zealand economy. 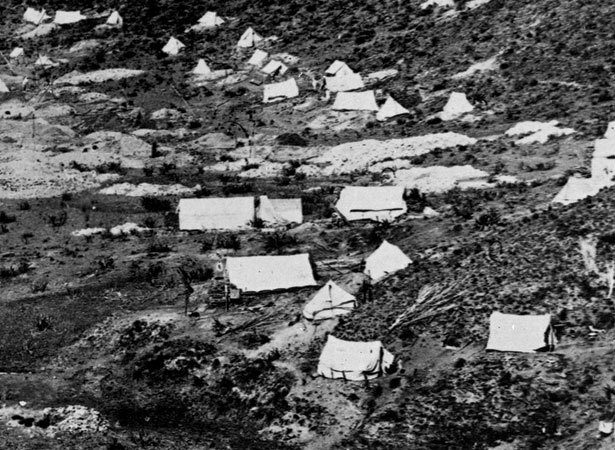 But there were fears that criminal elements seeking potentially rich pickings would also flock to the goldfields. The Otago gold rush peaked in the mid-1860s, after which miners left in large numbers for the new West Coast goldfields. Read returned to Tasmania in 1864 and spent his final years in a mental hospital. We have 3 articles, related to First major gold rush in Otago.